Saint Patrick’s Athletic secured an impressive double after they lifted the SSE Airtricity National Under-15 League title as they beat Bohemians in the final at Dalymount Park. Cian Kavanagh opened the scoring but the home side levelled through a fantastic free-kick from Aaron Doran. Pats weren’t to be denied, however, as Ben McCormack’s second-half strike secured the double. Looking to round off a fantastic week for the club after winning the SSE Airtricity Under-19 League title, Bohs hosted St Patricks Athletic in the SSE Airtricity National Under-15 League final. The home side started sharply and could have taken the lead when forward Opey Owalabi sprayed the ball to the left-hand side of the box to unmarked winger Rob Mahon who dragged his shot just wide. But Pats, who recently tasted success defeating Cork City in the Under-15 Cup, took the lead in the 10th minute through striker Kavanagh. 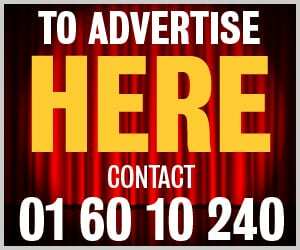 A quick free-kick was drilled forward, splitting the Bohs defence and into the big number nine who looked to be stumbling as he entered the box but kept his composure to slot underneath the on-rushing Mark Smith in the Bohs goal. The junior Gypsies had a glorious chance to equalise 10 minutes later. Talented forward Doran delivered a dangerously whipped free-kick from the left that found the head of Owalabi who misjudged his header, sending it up in the air. Dara Oke reacted quickest but his shot was bundled clear off the line. Bohs got back on level terms with an absolute wonder-strike from their own “mini Messi” Doran. The diminutive forward, having been brought down for the original foul, stepped up and whipped home a 25-yard free kick into the top corner giving Morgan Rice no chance. The second-half took a while to get going and it was the home side who had the first real effort of note. Substitute keeper Josh Keeley pulled off a magnificent save to deny Doran from the edge of the box, low to the left bottom corner, when some home support thought the strike was destined for the back of the net. Pat’s star man McCormack, began to take control of the game as players around him began to tire and, in the 65th minute, he scored another wonder goal. This time, the brilliant number 10 took on all comers, dribbling across the box from right to left, past three defenders and slotted home with a left-footed strike to put his side 2-1 up. 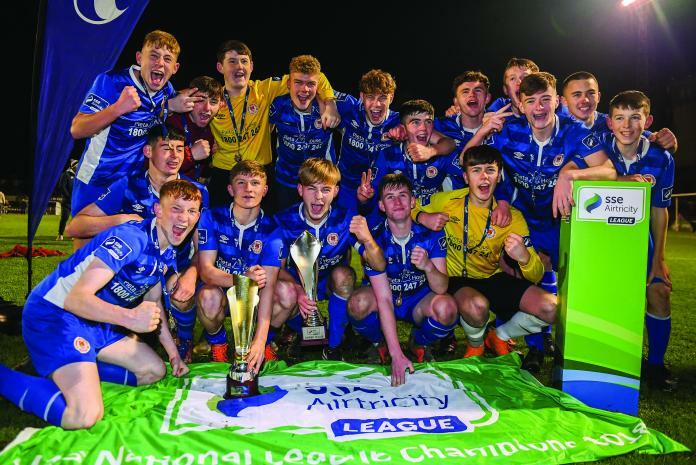 Pat’s saw out the game in professional manner, weathering all that the home threw at them to seal a hugely impressive league and cup final double in the first full season of the SSE Airtricity National Under-15 League.